On Wednesday, October 31, 2018, Marvin (Marv) Earl Lawrence of Matthews, NC, loving husband, father and grandfather, passed away at the age of 67. Marv was born on September 28, 1951, in Kane, PA to Willard and Virginia (Himes) Lawrence. He graduated from Smethport High School in 1969, joining the US Marines Corps that same year. Marv is a Marine veteran, serving from 1969 to 1971, including a tour in Vietnam. On July 8, 1972, Marv married his high school sweet heart, Lyn Magee, also of Smethport, PA. Marv and Lyn were married for 46 years and remained so until his death. 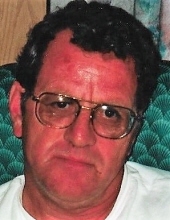 Marv had established himself as an honest car man in the Charlotte area automotive industry for more than 20 years. Marv enjoyed a variety of sports, playing golf regularly in the area, along with softball and bowling. Marv was an avid fan of the Pittsburgh Pirates and rarely missed a game either on television or on the radio. He enjoyed traveling with his family and in 2014 embarked on a 3 month long “bucket list” journey to Alaska with his wife, Lyn. Marv loved spending time with his family, whether they were heading to the beach, the mountains, Florida for spring training or even Pittsburgh, PA to catch a Pirates game. Marv lived life to the fullest and he made sure his family did too. He loved them all and he will be missed dearly. Marv is preceded in death by his father, Willard Lawrence. He is survived by his wife, Lyn (Magee) Lawrence, his son, Jason Lawrence (of Mocksville, NC) and his wife Kati (Mocksville, NC) and their children, Andrew, Jackson and Daniel. His daughter, Holly (Lawrence) Whitfield (of Carlisle, PA) and her daughter, Solana. Marv is also survived by his mother, Virginia (Himes) Lawrence of Lincolnton, NC, brother, Leonard Lawrence and his wife, Marty of Kings Mountain, NC, sister, Winnie Lawrence of Iron Station, NC and brother, Chuck Lawrence and his wife Kristy of Monroe, NC. To send flowers or a remembrance gift to the family of Marvin Earl Lawrence, please visit our Tribute Store. "Email Address" would like to share the life celebration of Marvin Earl Lawrence. Click on the "link" to go to share a favorite memory or leave a condolence message for the family.